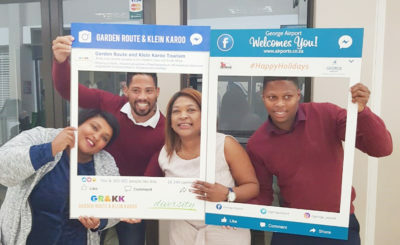 The ‘Race with Soul’ Champions were crowned in front of the Queen’s Hotel in Oudtshoorn today. 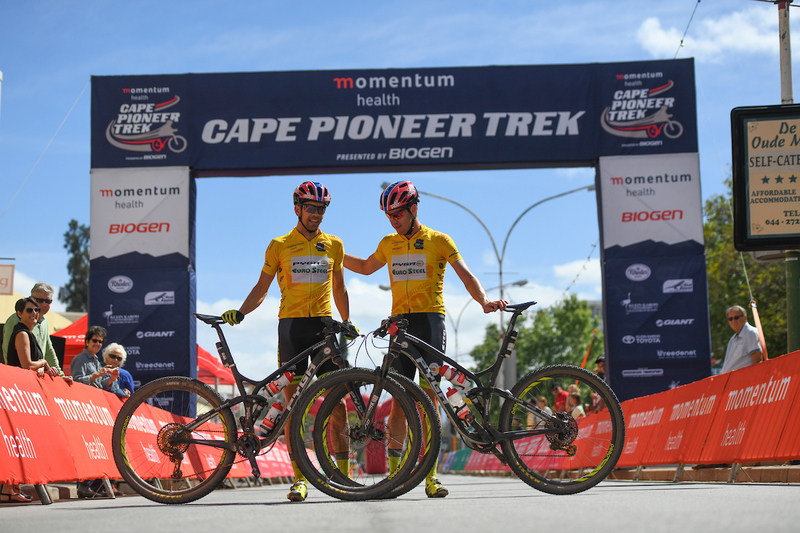 After six spectacular stages and 530 km’s in the saddle, Team Pyga Euro Steel’s Matthys Beukes and Philip Buys stormed to victory at the 10th edition of the Momentum Health Cape Pioneer Trek presented by Biogen. 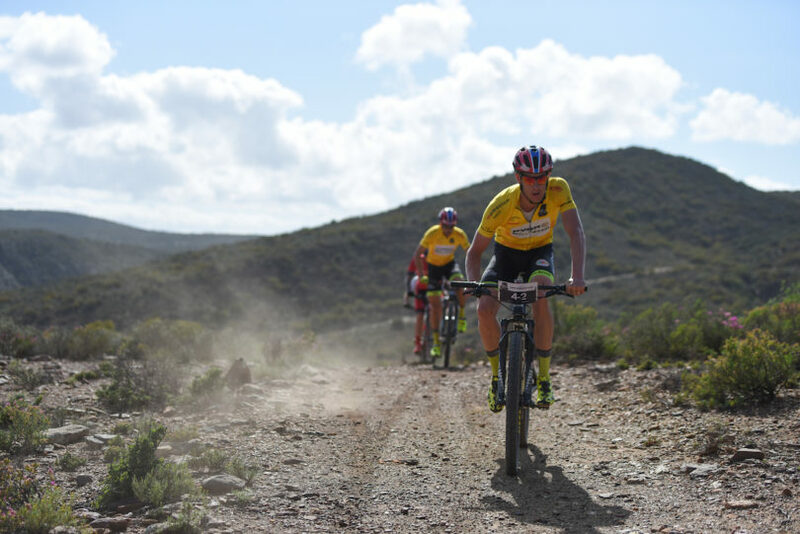 The Pyga-Eurosteel finished the seven-day event in 21:14:14 to beat Spur’s Alan Hatherly and Simon Andreassen (21:17:04). Third were NAD MTB’s Matt Beers and Gawie Combrinck (21:24:55). The women’s team event was won by Cemile Trommer and Karen Brouwer (KMC Focus) in 25:26:25. Second were Garmin’s Yolandi du Toit and Catherine Williamson (26:24:17), followed by Simone Rhoda van Aardt and Sarita Louw (30:41:32). Yolande de Villiers and Charles McFall were crowned the champions of the mixed category when they finished in 24:07:46. Fienie and Kobus Barnard (25:29:45) came second with Kevin Taljaard and Siska van der Bijl (26:50:44) rounding out the podium. Andrew Johnson (22:51:28) took the spoils in the solo men’s race, beating Andrew Stockwell (23:47:24) and Gregory Harrup (23:51:11) to the title. 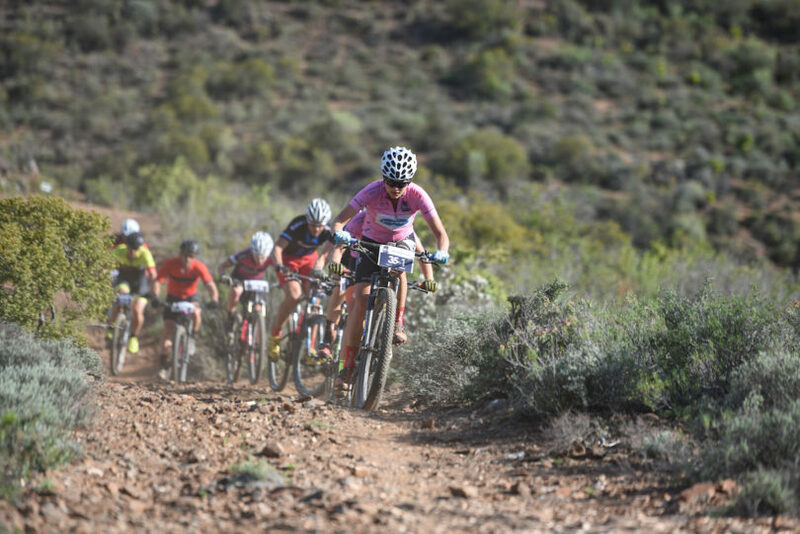 Marisa van der Linde (27:45:53) finished first in the solo women’s event to beat Lehane Oosthuizen (28:05:00) and Hanlie Snyman (30:48:18).